Mt. Peter, 11/4/17 – What a Day! It was a sad day for everyone at Mt. Pete. We learned yesterday evening that fellow counter and friend Carol Linguanti had passed away after a long battle with cancer. In spite of the fact that she had been sick for a while, it was still somehow shocking to me, and I was deeply saddened. Carol was one of the good ones, a truly great friend that had more enthusiasm and love for life, family, friends, and nature than anyone I’ve ever met. She will be missed by so many people it’s hard to grasp. Thoughts, prayers, love, and positive energy go out to her family as they go through this hardest of times. Well, Carol must have been smiling down on me today. I had an absolutely incredible day at Mt. Pete. 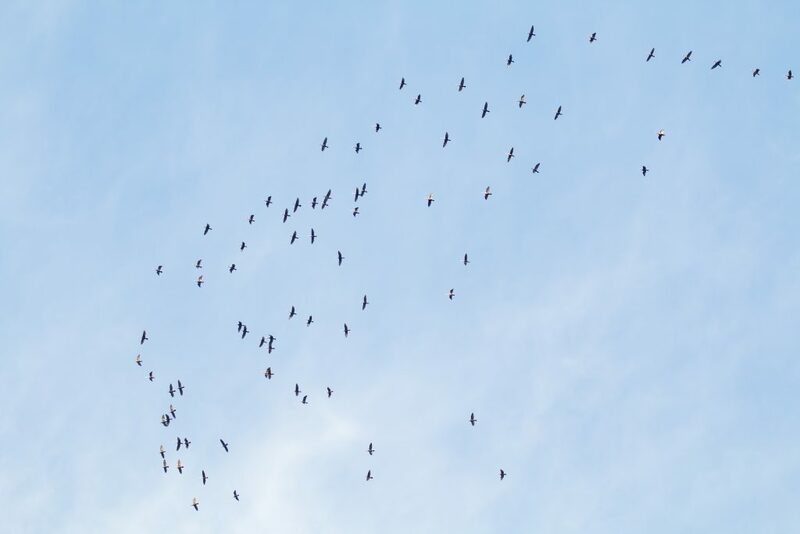 The sky was absolutely filled with birds – raptors and more. 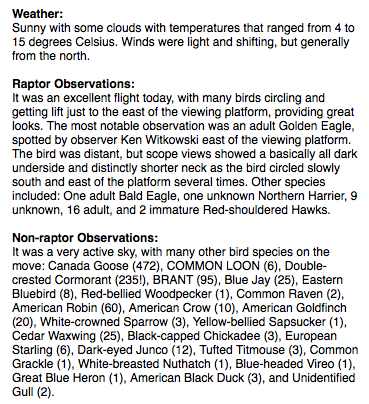 I had two major raptor highlights – a GOLDEN EAGLE which was located by Ken Witkowski to the east of the viewing platform. I managed to get the bird in the scope as it circled slowly; the distinctly shorter neck, as compared to a Bald Eagle, was apparent and the bird was basically all dark on the underside, so likely an adult. 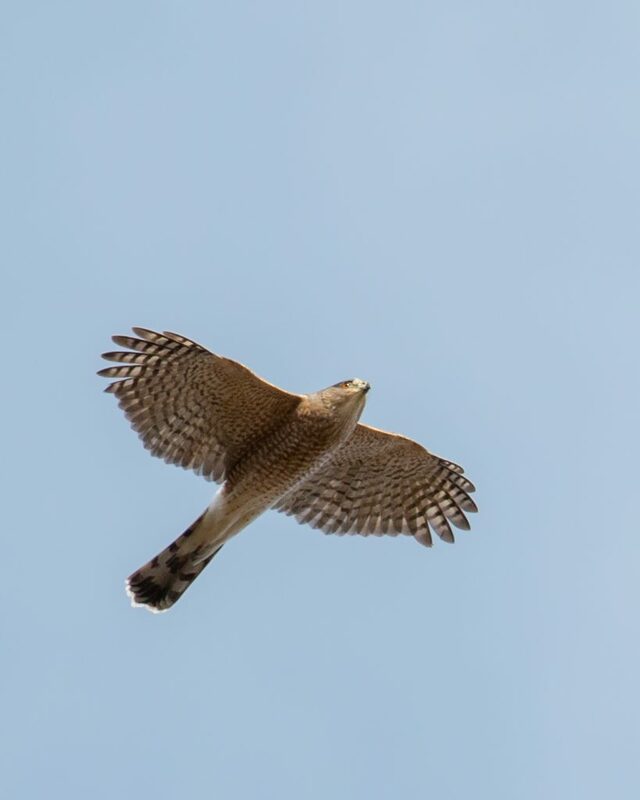 The second highlight was the Red-shouldered Hawk count – I had 27 RSHA which broke the previous daily record of 24! 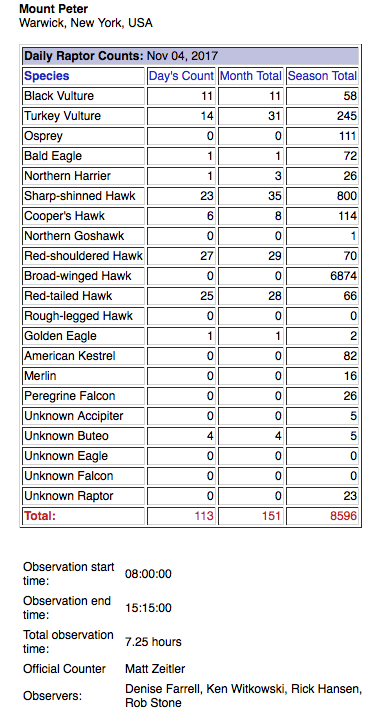 It was an active day for migrating raptors, and in the end I had 113 for the day. 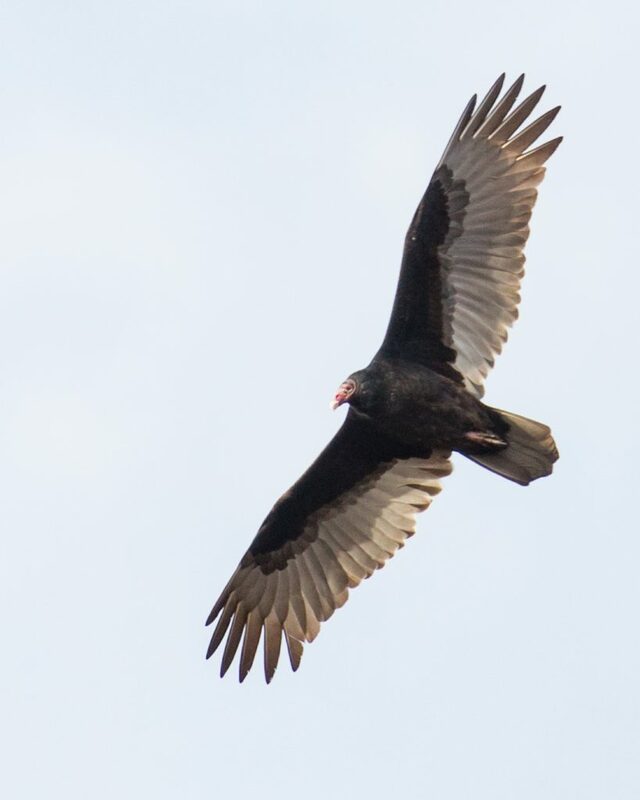 There was also plenty of other bird movement with some of my favorite birds. Six Common Loons were counted; a couple actually passed close enough for photos (typically they are WAY out there). Geese were on the move too, I counted 472 Canada Geese and 95 BRANT. Double-crested Cormorants came through in 5 skeins with a total of 235 birds! At one point a large skein of cormorants flew in line with a small plane and the birds scattered to avoid it. Chaos reigned for a short time but then they got back into formation. 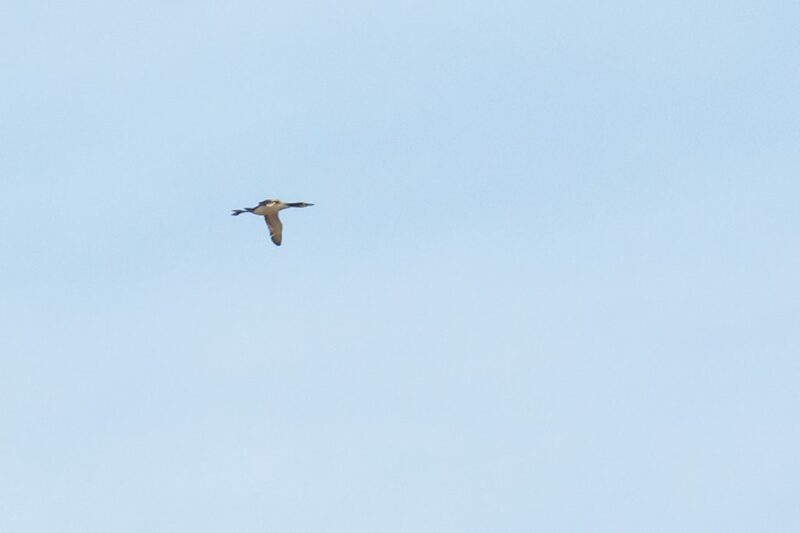 We also had a single Great Blue Heron, flying so high you wouldn’t believe it; it passed right over the platform, totally invisible to the naked eye. Incredible stuff, these are the days that I love so much when it comes to hawk watching. Excellent birding – thanks Carol! I’m so sorry that we’ve lost Carol, Matt. My condolences to her family… and to you. I know you were fond of her.